As “new generation” Republican challenger Carl DeMaio trades jabs with incumbent Democrat Scott Peters, new accusations of wrongdoing have entered the race that may include Federal Bureau of Investigation inquiries. Earlier in October, DeMaio Policy Director Todd Bosnich accused DeMaio of inappropriate sexual advances and harassment. DeMaio flatly denied the allegations and fired back with allegations that Bosnich plagiarized while working for the campaign. DeMaio also suggested that Bosnich broke into the campaign office during the primary, vandalizing equipment in a fit of retaliation. Bosnich likewise denies the allegations against him. The San Diego Police Department has not filed any charges against Bosnich for the break-in, and the San Diego District Attorney’s office has chosen not to file sexual misconduct charges against DeMaio. Bosnich was hired by the DeMaio campaign in October 2013, according to a representative of the former staffer, and claims DeMaio began inappropriate touching from December of that year through at least April 30, 2014. At that point, Bosnich claims, DeMaio called him privately into his office while actively engaged in a sexual act. DeMaio denies Bosnich’s story, calling it a complete lie. A San Diego Union-Tribune article cited DeMaio’s campaign manager indicating DeMaio passed a polygraph test in which he denied the claims of sexual misconduct. The campaign manager, quoted by the Union-Tribune, said the test was conducted by the San Diego Police Department. Representatives for Bosnich also released results of a polygraph in which he was found to have no deception indicated in answering questions that affirmed his claims of sexual harassment. One Bosnich representative told Breitbart News that the test was performed by a polygraph operator well respected in the eyes of the San Diego Police Department. 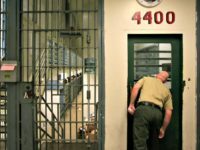 Breitbart previously reported that “in May, controversy arose over a report on legislative pensions that came from DeMaio and was published in the Wall Street Journal. National Journal then called out DeMaio for plagiarizing their report. At the time, DeMaio took responsibility for a copied report that had reportedly been prepared by a campaign staffer.” Today he openly blames Bosnich for the plagiarism. Bosnich’s representative told Breitbart that their client had told DeMaio at the time where the report had come from. On May 18, Bosnich claims, he confronted DeMaio over the alleged sexual harassment and gave him an ultimatum to stop the advances. On May 19, according to Bosnich, he was fired by the campaign manager. Bosnich has also alleged that he was asked to sign a non-disclosure agreement in exchange for $50,000. The DeMaio campaign denies that as well. Bosnich also participated in an interview by radio host Mike Slater on June 2 that never aired, according to Bosnich. One reason cited was an inability to substantiate the claims he had made against DeMaio. Despite allegations and possible investigations, The National Republican Congressional Committee (NRCC) and House Speaker Boehner have continued their support of DeMaio, one of the first openly gay candidates to run on the Republican ticket. Fox News’ Dana Perino has also touted DeMaio’s candidacy. 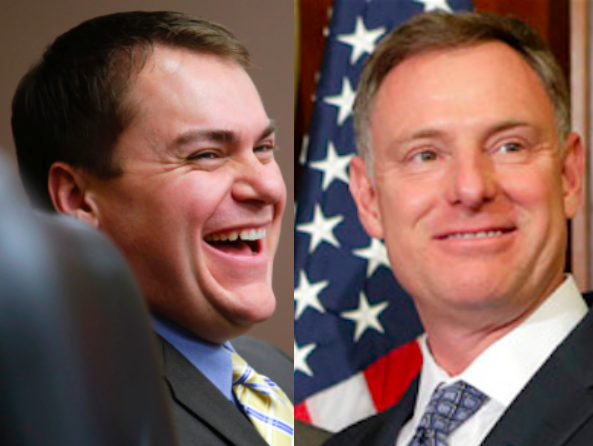 DeMaio has faced other attacks from Democrat opponent Peters and Peters from DeMaio. Campaign ads attacking DeMaio claim he is a Tea Party loyalist. However, DeMaio has distanced himself from the Tea Party movement. Given the fact that DeMaio has strong establishment support and some influential conservative organizations and persons opposing his campaign, Democrats’ claims of Tea Party loyalty do not hold water.